Styes, also called hordeola, are bacterial infections that lead to the obstruction of oil-producing glands of the eyelids. Styes appear as small bumps on the upper or lower eyelids. They occur in both sexes and to all ages. Styes are usually harmless and will go away on their own within one to two weeks when your body fights off the infection. To prevent a stye in the eye, always wash your hands before touching your eyes and maintain good eye hygiene, especially if you wear contact lenses. Many people confuse styes with chalazia. The two types of bumps are similar; the difference is that chalazia develop under the skin and never appear with a head, while styes look like a pimple on the eyelid. Also, a chalazion is usually not painful and usually not accompanied by redness or tenderness. Although the stye itself is not contagious, the bacteria that caused it can spread from one person to another. The staphylococcus bacterium lives on the skin and mucous membranes of humans and most animals. Normally this particular bacterium does not cause problems with the body, but when it enters the oil glands in the eyelids, it can cause pain and inflammation, and it can lead to the development of styes. In most cases the bacteria enter the eye area when you rub your eyes with dirty hands. Styes are common in children for this reason. The bacteria block the oil glands, preventing the oil from being secreted, and a stye soon develops. 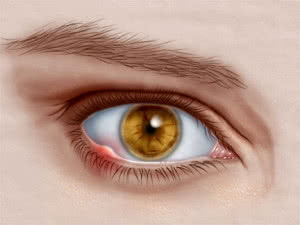 You can pass the bacteria to another person through contact, but the bacteria will not necessarily manifest into a stye. How Is An Eye Stye Diagnosed? A stye will often heal on its own within a couple days. If it does not, you should see your eye doctor for a complete eye exam to determine whether another eye problem, such as blepharitis, is causing the stye. What Are My Treatment Options for a Stye? A stye can be treated at home or by your healthcare provider. Typically, you will be directed to apply warm compresses to your eyelid to relieve pain and inflammation. Warm compresses may also accelerate the healing process. Apply the compresses for 10 minutes and repeat as often as needed. Contact lens wearers are asked to refrain from wearing their lenses until the stye and infection are gone. Never squeeze a stye; it will eventually open and drain the pus on its own. If you seek medical treatment, you may be prescribed an antibiotic ointment or cream to fight off the infection. In most cases, the infection heals on its own, and drainage occurs about two days after the head appears, or within a week of the appearance of symptoms such as tenderness and redness. Styes are usually recurrent, even with treatment, so you should take preventive measures to reduce the risk of recurrence. In some cases surgical draining of the stye may be necessary to help heal the infection. What Can I Do To Prevent Eye Styes? Unfortunately there are no specific preventive measures for styes. Keeping your eyelids and eyelashes clean is important. To do this, add three drops of baby shampoo to a small bowl of warm water. Soak a clean cotton ball in the solution, then gently scrub both eyelids for 30–60 seconds with your eyes closed. Rinse with warm tap water. What Are Some Complications of an Eye Stye? Occasionally complications may develop from a stye. Typically this occurs when preventive measures are not taken. For example, the bacterial infection may spread to other parts of your body, including other glands in the eyelid, if you open the head of the stye before it opens on its own. Another complication of eye styes is their tendency to recur. The infection may not respond well to treatment, which may contribute to frequent recurrence. Some styes may not open and drain on their own within two days of the head’s appearance. Self treatment may not be sufficient, and the pain may increase until medical treatment is needed. Contact your eye doctor or healthcare provider immediately if the stye lasts more than two weeks or if vision changes occur. Are there any over-the-counter products that can alleviate the symptoms of a stye? Which over-the-counter products should I avoid? Why? If new symptoms develop, such as a fever or nausea, what should I do? 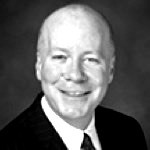 What are my treatment options? What options do I have if these fail? How long should it take for the stye to heal? How long should I wait to contact you if symptoms do not go away?